Understanding and designing the elements of a transaction to obtain the client’s objective, increase the chances of dispute free performance of the parties’ agreements, reduce susceptibility to challenge and increase the practical enforceability is the essence of commercial legal services. Transaction experience, business experience and experience in commercial litigation, are indispensable. Nye Ltd, Attorneys combines extensive experience in all three; transactions, business and in litigation. We have established our reputation through competent and attentive pursuit of our client’s interests. We have been fortunate to be selected to represent Fortune 100 and 500 companies, smaller public companies, small businesses, families and individuals, both U.S. and international. We practice in state and federal courts. Our unique experience has brought regular success in real estate and commercial matters, business structure, formation, transactions, financing, planning, counseling and problem solving, and where necessary, litigation. How does a small firm achieve these representations and results? Richard Q. Nye, the firm’s founder, combined with real estate and commercial practitioners to form Foley, Clark and Nye, P.A. That firm grew rapidly and represented financial institutions, U.S. and international investors, developers and businesses. 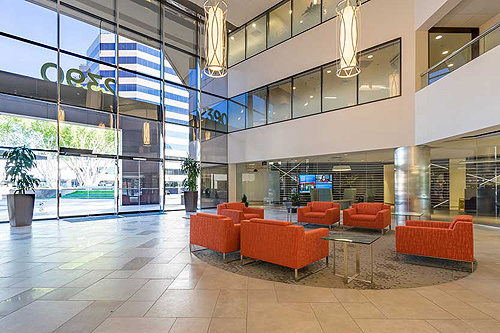 It lead in and completed the acquisition of the title insurance arm of Insurance Company of North America and its redomestication in Arizona as Fidelity National Title Insurance Company. Eventually, partner William P. Foley acquired control of Fidelity National Title and with Frank P. Willey, one of the firm’s chief litigators, has built Fidelity into the largest title insurance company in the U.S. Rick and real estate partner, Robert L. Shaw, continued the company and its relationships as Nye Shaw, added new partners and continued to grow. Nye Shaw represented institutions and clients, including financial institutions and borrowers, through the unwinding of the S&L industry and into the resumption of growth. In 1990 Richard Q. Nye, Ltd., this firm’s original name, was formed to expand the practice representing international clients and handling major commercial litigation. Clients have found the unique mix of large scale transaction experience with the extensive litigation foundation provided wise counsel in accomplishing their transactions and successfully litigating their interests. The firm has repeatedly argued and tested documents and business relationships in court and that experience enables us to fully advise our clients on the implication of deal and document structures. And, because we regularly structure transactions, negotiate and draft documents and close, we fully understand the components of disputes we litigate. We have that duel perspective. Nye Ltd, Attorneys limits its practice to commercial matters. Representative matters include acquisition and financing and sale of properties throughout the U.S., major residential, mixed use and commercial developments. A noteworthy transaction was the acquisition, financing and later resale of the FedEx World Headquarters Building. The firm represents the largest national cellular provider in its Arizona telecommunications site acquisitions, telecommunication license holders, a major, publically regulated Arizona water and sewer utility, a publically traded Canadian development company in U.S. transactions and European investment companies in their U.S. transactions. We regularly litigate business, title and real estate matters. In addition, Nye Ltd, Attorneys represents medium, small and family businesses in transactions, financing, entity structure, litigation and dispute resolution. Nye Ltd, Attorneys is of counsel to Los Angeles law firm, Hennelly & Grossfeld, LLP, representing H&G’s national clients in Arizona matters. Every professional in the firm appreciates the risks and rewards – and the real financial, organizational and personal costs of litigation. Coming to a timely and cost effective resolution and structuring the way out of disputes is our commitment. Our relationships with our clients are our life blood. Clients find our personnel are sincerely interested in achieving the finest, cost effective and practical result for their legal matters. We seek to be trusted and candid advisors. Lawyers are expensive. We can’t change that. But we can and will strive to counsel and achieve our clients’ ends, always mindful of the costs. We would appreciate the opportunity to review your needs. We would like to be your lawyers.